Have you ever wondered why credit cards have an expiration date? 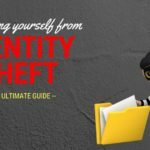 According to industry experts, there are two main reasons… The first is that expiration dates help protect customers against identity theft and fraud by giving vendors an additional point of verification when accepting a credit card transaction online or over the phone. Credit card industry observers claim that expiration dates serve a variety of other purposes, including reminding you that you have credit available, and giving creditors a chance to re-assess your risk. The good news is that you generally don’t have to do anything to get a replacement card — the credit card issuer will send out your new cards a month or so before the old one expires. This just happened for us, as our excellent Citi Dividend Platinum Card reward credit card expires at the end of this month, and the replacement cards showed up a couple of weeks ago. Companies don’t do anything more than send a new card when the old one expires. They assess your credit worthiness and continued worthiness on an ongoing basis. I’ve had this happen, too, which sort of makes the whole expiration thing pointless, doesn’t it? Please do check and let me know what you find out. Thanks! Actually, it never occured to me that they would have automatically bumped me down to the lower rate. Wouldn’t they have to at least mail me a letter if they decided to do that? I’ll have to check my cash back carefully on my next statement, which should be easy since I’m severely limiting my spending this month. Thanks for the heads up. Shiva: As far as I know, it doesn’t. I’ve never seen such inquiries on my own credit reports. Does the automatic renewal of a credit card account result in a hard credit inquiry? I think credit cards have an expiration date because it gives them a contractual “out” by saying a contract was only for a stated period and not an open-ended contract. The magnetic strip is a bunch of hogwash. 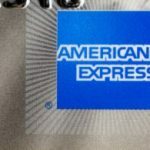 The credit card companies do not want to send out millions of cards just because they might wear out. You can call and request a new one very easily and they would do anthing that saves them money. The extra security may have been a reason at one point but that can not be a valid reason because there are now 4 digits codes that are printed on the card. The other reason might be that it allows a ‘check’ on the consumer but credit card companies can do that at any time. It’s just a new card, not a new account, so I don’t think you’d automatically roll onto the new plan. That being said, they could just put you on the lower payout plan if they wanted to. Have you been able to verfy that you’re still getting the higher payout? I’ve wondered this myself, but our rewards were maxed out so I couldn’t test. I have a Citi Dividend card as well (the old one with the great 5% cash back deal) and I’ve been wondering if, when my card expires in November, I won’t be able to get the same 5% deal anymore? I know they changed the card a couple months ago so that the deal is now 2% back on groceries, drugstores, gas, and utilities instead of 5% back. If they sent you a new card and kept you at 5% back, I’ll be thrilled!